After a long and record-cold winter that will go into the annals of history as one of the great skiing seasons, Norway is ready for light and heat. Here are nine major signs of spring to look forward to. Over the course of the next month, Norway will once again bloom. Utepils (beers consumed outdoors) in the sun, russ celebrating their graduation from high school, flower beds and nesting boxes teeming with life – these are just a few of the seasonal things to enjoy. Here are some of the activities and phenomena adding to the beauty of this time of year. Even though skis, ice skates, snowshoes and sledges are in for a well deserved period of rest, there are still plenty of options when it comes to outdoor activities in Norway. Running, for instance. One of the most including and traditional Norwegian races is Sentrumsløpet, with a main running distance of 10 kilometres through Oslo’s city centre, half that distance for the less trained and a trail dedicated to children. This is when the capital really awakens after the winter, and this year’s date for the nearly 40 year old race is April 21. 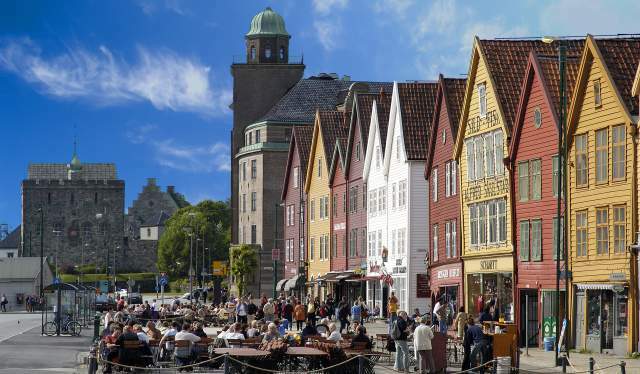 For the slightly more persistent athletes, Bergen City Marathon is a brilliant alternative. For seven years, the last Saturday of April has been a highlight for resident and visiting runners in the Western capital. Here, too, alternative distances ensure that this is fun for the entire family. It all starts and ends on the famous Bryggen in Bergen April 28. A more meditative – and to many just as rewarding – outdoor activity than running, is walking. And spring is the time for observing nature draw its first breath and awaken after months of hibernation. Among the Norwegian hiking classics, The Pilgrim Path to Nidarosdomen ranks high. 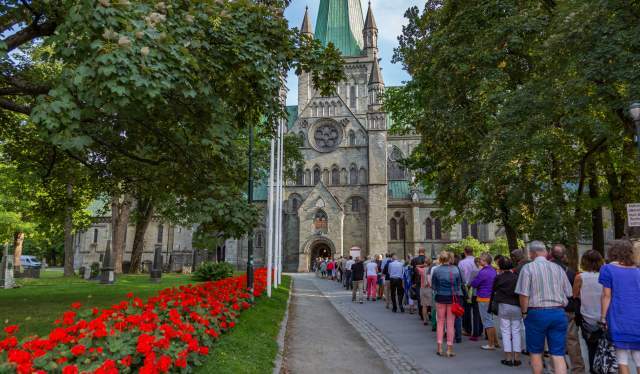 Here you get to walk in the footsteps of St. Olav, the king who completed Norway’s conversion into a Christian country in the 11th century, through several trails that all end up in Trondheim’s cathedral Nidarosdomen, where he was buried. The longest of the routes starts in Sweden and stretches across 564 kilometres, with several possible accommodations along the way. At the other end of the secular spectre, you’ll find the Ryfylke Hike & Beer, where a day trip through some of Rogaland’s lesser known pearls of nature is rounded off with food and beer from the microbrewery at Lilland Bryggerihotell. The season lasts from May to October, and the hike only requires its participants to be in moderate shape. Spending time in nature is, of course, great for both body and soul. But the city also has its appeal when the winter plumage is shed and the sun forces the temperature upward. Among the best ways of experiencing the city is from the seat of a bike. City bikes available for rent are increasingly popular, and at the present time five Norwegian cities offer tourists as well as inhabitants two-wheelers – Drammen, Sandnes, Oslo, Trondheim and Tønsberg. In the country’s capital, another means of transportation is up and running as well: The Oslo Ferries. From the early morning to late in the evening, the boats carry its passengers from the Rådhusbryggen pier and out to the islands in the Oslo fjord, where particularly Gressholmen, Hovedøya and Langøyene are popular for excursions and chilling. Naturally, Northern Norway has to endure the winter longer than the rest of the country. In return, the region is blessed with a natural phenomenon worth the trip in itself: The midnight sun. From May and through the summer, the sun doesn’t set, and in June and July kayaking in the midnight sun in the waters outside Tromsø provides an intense and euphoric nature experience, with plenty of opportunities of eagles, dolphins and puffins. Speaking of animals: On the first Sunday of May every year, the cows at the Bygdøy Royal Manor are being released for pasture, and the public is invited to join them in their joy. Hay jumping and close encounters with hens, pigs, ponies and rabbits make this a charming pastime for the whole family. Still not ready to kick off the skies just yet? No worries: At the glacier Folgefonna in Jondal, the ski resort Fonna is open all summer long, with its seasonal opening April 27. During the months of March, April, and May, the days get longer and the weather gets warmer all over the country. The melting snow creates natural waterfalls everywhere, and together with the blooming flowers – and people – they make spring in Norway quite remarkable. 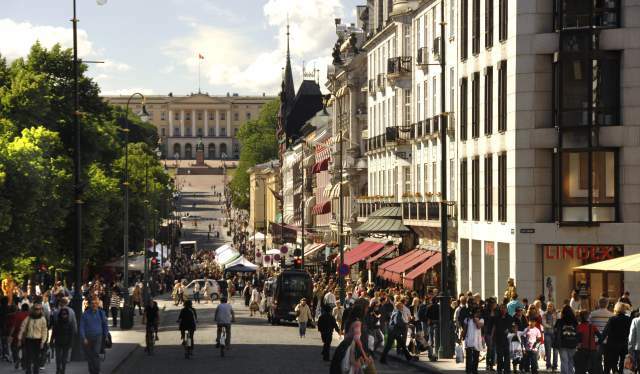 This morning, Oslo was included in Lonely Planet’s esteemed top-ten-city list for 2018. There’s never been a better time to visit the Norwegian capital, according to the publication’s editorial director.